After having a wonderful conversation with a few parents last night, I thought I would put down some thoughts to share. I think we in education, often forget that we have been given amazing gifts in our collegial studies and in the classroom that many parents would love to have. Personally, this past week with sixty-two family members in town for a celebration, many with whom I ever see, asked many questions on the “Academic Chart” on the refrigerator and how did I know just what Nathaniel and Claire needed to work on at ages 6 and 9? How did Unlock the Teacher come up with the ideas for our academic eBooks, why those given topics? Can I send them drafts of our first in the series of books being written with Dr. Lick (Director of Family Medicine at Beaumont Hospital) and Dr. Letscher (UDM Professor) and what languages are we planning on publishing them in? Does phonics need special attention with young school children etc. Interestingly enough, these are similar questions I found when conducting the Needs Assessment for our Unlock the Teacher book. Many of the parents in our focus groups had similar questions…a thirst if I may, for knowledge that would allow them to better help their children, identify their child’s learning styles and begin to provide them tools for life-long learning. Parents who wanted to become planters of knowledge seeds. So this week, on the sidelines of the freshman football field, I have had similar conversations as the ones mentioned, but on the topic of books. If you are a parent or teacher of boys who reads often, then hopefully these book recommendations will help. (Example: my 9-year-old son reads approximately 30 minutes when he wakes and an hour before bed and sometimes for a time during the day to calm his spirit. He reads through 2-3 300-400 page books a week. This has been his pattern of behavior since the beginning of 3rd grade and lasted through the school year and has increased this summer.) Talking to various parents, this is common for a few boys and parents are desperately seeking reading material that will engage their avid readers minds, without filling it with inappropriate images. This can be tricky, when you have 8-10 year olds reading at a grade 9 and above, where many book written for that given age has some sort of sexual undertones. A subject undertone that I would rather my 9-year-old not to read about yet. These books are well written and sure to engage the avid reader (boy or girl really). I have read all these books before my son, so we could discuss and I could utilize them to further his learning. However, I also had available many if not most of these books in my classroom over the years as well. I hope this helps, and these books are found to engage and activate the imagination for your young reader. I would love to hear your suggestions and post them here on our blog…knowledge is meant to be shared no hoarded! 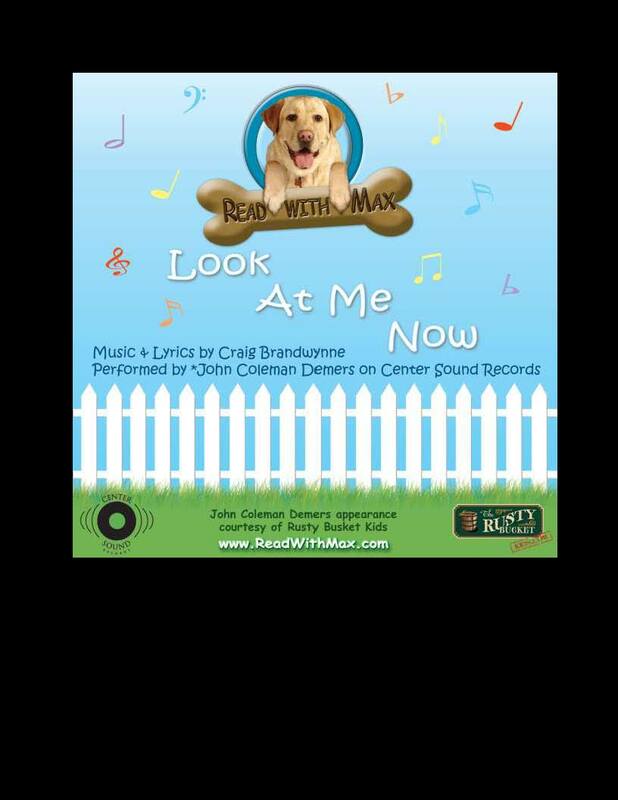 Max has teamed up with sharing knowledge about LeaderDogs for the Blind. We applaud his efforts to utilize his gifts and talents for the betterment of many. This is a wonderful example for our children, our future. Together we can make a difference if we ALL choose to utilize our unique gifts and talents for the good of us all. “Katie’s Farm Adventures” is just that, a 32 page children’s literature book that describes all the adventures one can have on a farm through Katie’s eyes. This book is one of four eBooks where all proceeds will go to selected elementary schools to develop literacy funds; the academic focus for this book is sight words. This eBook includes a parent/teacher resource section and 12 coloring pages, the sketches used for the paintings. 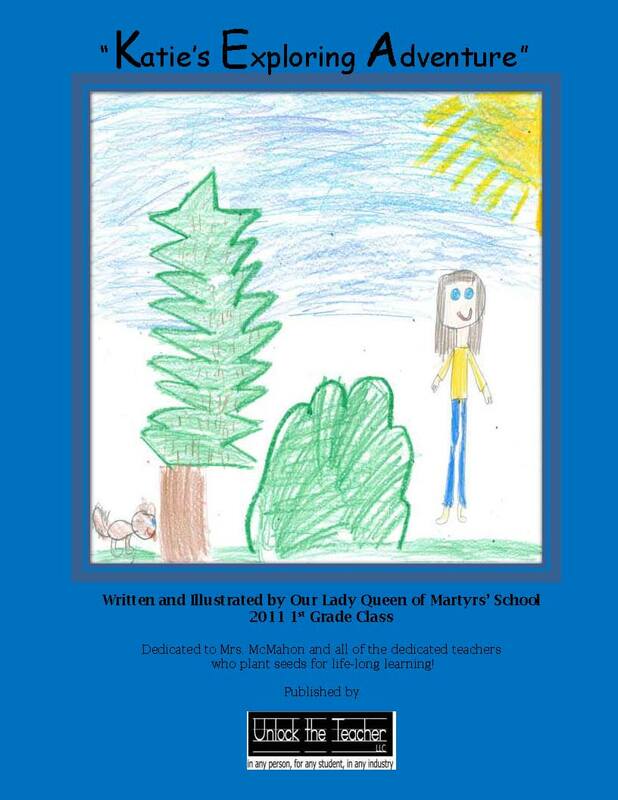 This 23 page book is written and illustrated by a 1st grade class. 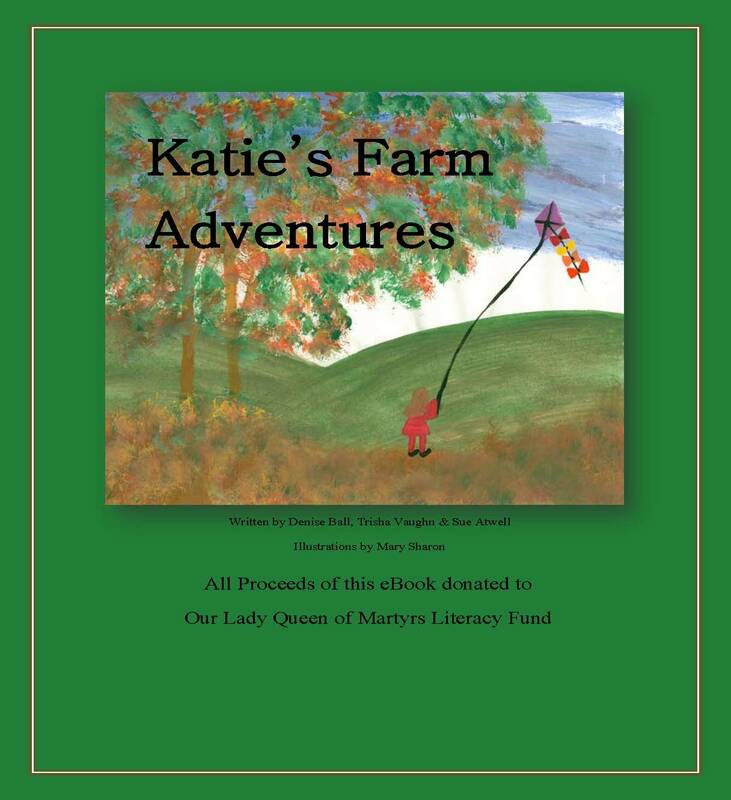 “Katie’s Exploring Adventure” is the second book in “Katie’s Farm Adventures” series. In this book, Katie goes on a hike through the woods with her parents and discovers some colorful insects, falls into a huge pile of mud and through it all maintains a great sense of humor and sense of adventure. 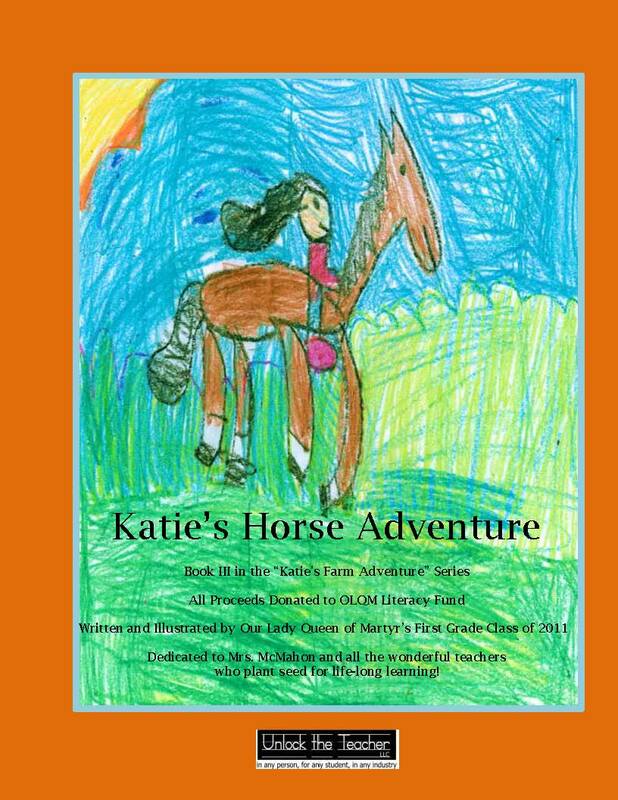 Katie’s Horse Adventure is twenty pages of colorful and fun-filled reading. This book focuses on strengthening sight words and each page identifies sight words to help emerging readers. We had so much fun working with this first grade class and seeing them get so excited about writing, illustrating and reading their collaborative efforts. Thank you to all who have already purchased one of these eBooks that promotes literacy. collectively, this series has sold over 50 books thus far. All proceeds go directly to Our Lady Queen of Martyrs School Literacy Fund. The principal and teachers can then utilize this money for professional development, new technology and/or new books for library. Unlock the Teacher LLC is just thrilled to be a part of this process. If your district, school or youth group would like us to come and conduct one of our Writing and ePublishing Workshops, please email us at teachme@unlocktheteacherllc.com Additional information on all of our student and teacher workshops can be found at www.unlocktheteacher.com. We are scheduling events, workshops and conferences now for the 2011/2012 school year. **We work with schools and youth groups who need financial assistance~together we can make a difference! 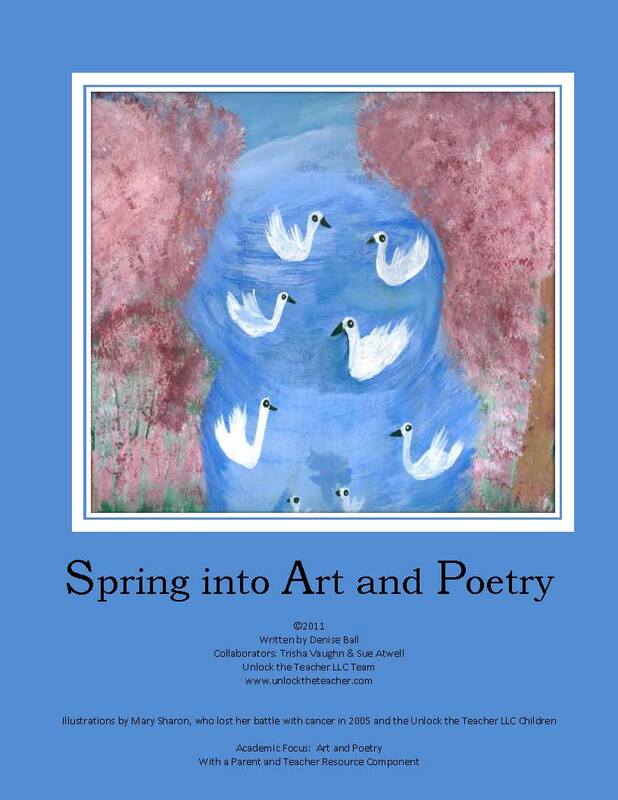 Unlock the Teacher LLC’s next eBook for children, parents and teachers Spring into Art and Poetry is sscheduled to be available for purchase at Amazon and Barnes and Noble online tomorrow. and the Unlock the Teacher LLC children. can be sent to teachme@unlocktheteacher.com. Literacy Campaign +Website Receives 600 Hits This Week…We Are Grateful, Thank You! Unlock The Teacher was born out of the understanding that we are all teachers. In what we do, how we act and who we are, we educate others at all times. From its inception, Unlock the Teacher has always been about helping all those who play a role in the life of a child to “unlock the teacher” within. Our goal is to share knowledge, not hoard it. We believe if we continue to choose what is right and good, to be the difference, a beacon of light, our efforts will be fruitful. Through project-based learning, Unlock the Teacher tackles academic curriculum in ways that are engaging, meaningful and adaptable to a variety of learning styles. Unlock the Teacher specializes in curriculum and instruction packages, CCSS curriculum alignment workshops, training and development for educators and industry employees, familiarity with needs assessment, grant writing, business plans, teen writing workshops in schools, ePublishing workshops, writing and publishing children’s literature books and producing non-fiction educational books and materials. We’re prepared to meet the educational needs of teachers, students and YOU! This is a THANK YOU blog for all of you who have so generously responded to our invitation, passed on the word and through your generosity, allowing us to share the good in education. Our new website @ http://www.unlocktheteacher.com has received over 600 hits in the first week…we have received approximately 30+ emails of comments about our literacy campaign for elementary schools. The comments about all the art work my mom painted has been both touching and healing for me as well. Our Unlock the Teacher LLC team is so grateful for the support, the positive comments and the dialogue with local and …not so local school districts about our training packages. Our “ePublishing Workshop for Teens” is a hot topic and we will post some mini clips of our next workshop this Friday on our website, to share the enthusiasm that young people are having when they see the wonderful opportunities for their writing. As an educator, it always gives me goose bumps to see students get excited or find validity in the work they produce in the classroom; it is a win-win for educators, students and families. Recently, our company was asked to provide a min-ePub training for 8 students and parents at a private home. Everyone in attendance came prepared with laptop and samples of writings: short stories, poetry, cartoons etc. It was a teachable/learning moment for me as an educator, for the parent realizing the amazing work their children were capable of producing and for the teens as they discovered that their authentic work, their ideas, dreams and creativity were not only good, but inspiring for all the adults in the group. The coup de grace of the training was when all participant realized the opportunities that were available with ePublishing this authentic work. They discovered, that they could utilize proceeds to establish college funds, travel adventure funds etc. with publishing authentic, creative and current writings for the reader of today…exciting! We give our next ePublishing Workshop this Friday to 100+ teens for a local school district, and personally…I cannot wait! Mysteries of the Beach is on sale now at Barnes and Noble and can be downloaded for your child’s enjoyment and to utilize as an educational tool. This is a complete science unit (k-2) on the ocean, all inside one book. We have included hyper links throughout, which make it an ideal teaching tool for classrooms with Smartboards. Regardless if you are teaching a class, small groups or an individual student, this book is a great resource. We have recommended additional websites and resources to enrich both the academic and enjoyment areas. Check out Mysteries of the Beach at Barnes and Noble and let the learning fun begin! Thank you to everyone for the outpouring of support! For those who have already purchased the book, please share your experiences and/or children’s comments about Mysteries of the Beach. We will be publishing the coloring book attachment piece for 99 cents soon. We are excited to share with you the books being launched March 1st for our Unlock the Teacher LLC Promoting Literacy Campaign. We appreciate and look forward to all comments. As many have already requested, we will donate any of our eBooks to schools, libraries, hospitals or any facility that helps children and promotes literacy. Our goal is to share knowldege and promote all that is good in education! All proceeds from the eBook for “All Around our Town” will be donated to St. Mary’s School in Royal Oak, Michigan. This school has a wonderful curriculum plan that incorporates art and reading across the curriculum. The art teachers exhibits a passion for her craft and enjoys showcasing the many beautiful art projects created by her students. The 7th and 8th graders are so well read in this building, I enjoy stopping in to ask them what they are reading and why. Unlock the Teacher LLC can not wait to see what wonderful ways this building will utilize our gift. Unlock the Teacher LLC, will be launching two new academically focused children’s books with coloring pages and parent and teacher resource section. The goal of The Many Mysteries of the Beach is to introduce and enhance academic science vocabulary and sight words. This book will also have a resource section for parents, pre-K and elementary educators. The paintings for this book were painted by Mary Sharon, my mother, who while living with my husband and me for the last ten years of her life, would sit out on the back deck and paint. She lost her battle with Colon-Rectal cancer in 2005. 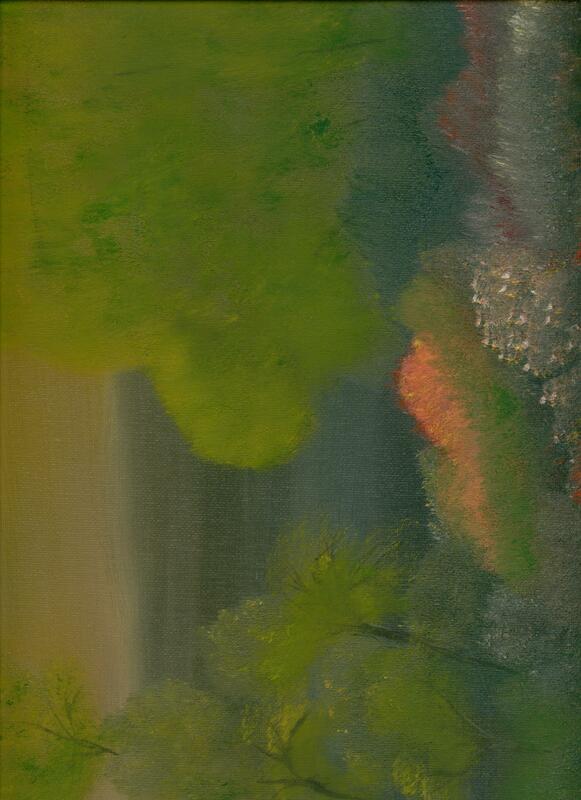 Her passion for life, reading and art are evident in her work, as her paintings tell a story all on their own. 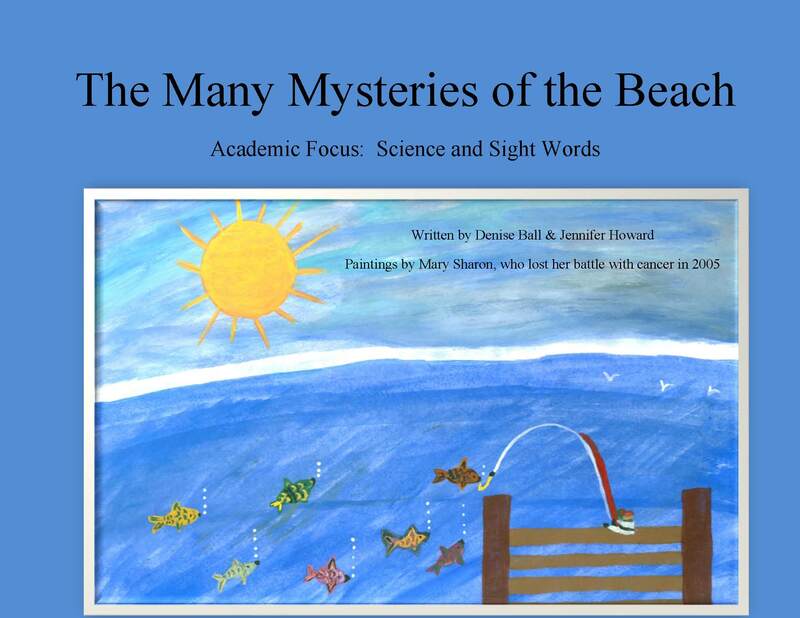 The academic focus for The Many Mysteries of the Beach are sight words and science facts. 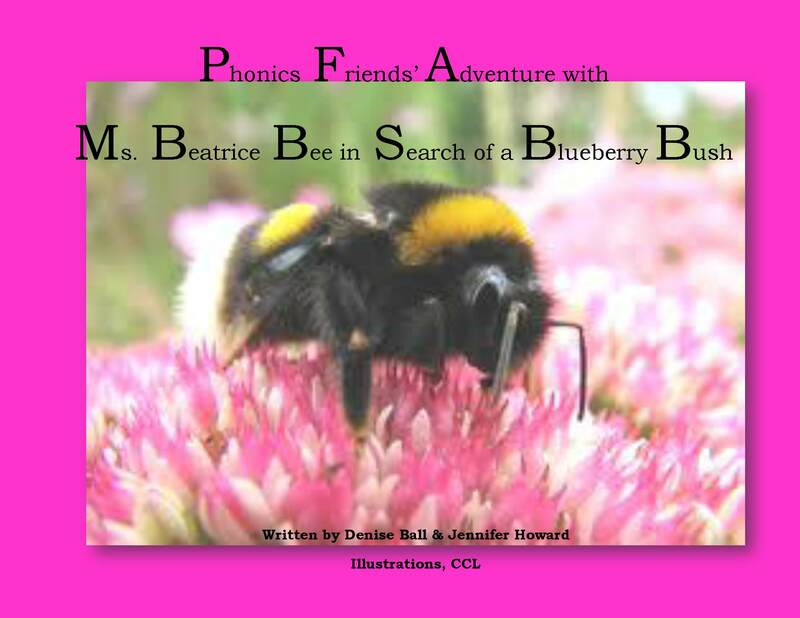 The goal of Phonics Friends’ Adventure with Ms. Beatrice Bee in Search of a Blueberry Bush, is to promote literacy while enhancing the cornerstone of reading, phonics. The academic focus for this book are phonics, sight words and science facts. This book will come with a parent/teacher resource section. These books will be published and available for all young readers within a few days. The Many Mysteries of the Beach will be available for $3.99 and Phonics Friends’ Adventure with Ms. Beatrice Bee in Search of a Blueberry Bush will be available soon with a great reasonable price. Together, through positive collaboration, we all can make a difference for our children, our future. Read to A Child Today…Find Out Why it is Important! Educational websites and apps for parents, caregivers or early childhood teachers…make a difference in the life of a child…READ to them! The Importance of Reading…Read to a Child Today! It is the responsibility of us all to invest in our future. To prosper as a nation, the literacy gap needs to be looked at as just that, an investment.